Almost half of marketers viewed email marketing as a priority channel during 2015. Email design takes centre-stage as the channel continues to deliver ROI and grow in importance. OLIVER Digital Strategist, Mark Fitzgerald, shares four best practices for HTML email design. Over the past few years, some media commentators have been proclaiming that email marketing is dead. However the reality is that email marketing is going to continue to grow in importance – 48% of marketers claim that it’s been a priority channel during 2015. Consumers are tuning out to old-fashioned batch and blast emails but the same can’t be said about properly segmented emails that are relevant, trusted, strategic and engaging. According to Econsultancy, companies attributed 23% of their total sales to email in 2014, up from 18% in 2013. And 68% of marketers consider the ROI from email to be good or excellent compared to 32% of marketers considering social media to be good. The real question is not whether email marketing has value but how to maximise the ROI from email marketing campaigns through email best practice. Approximately 65% of emails are opened on mobile and tablet devices – 80% of these are deleted if they don’t render properly on mobile devices. In light of these statistics, it is alarming that 32% of companies say that they have a non-existent mobile email marketing strategy. 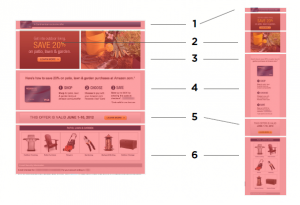 The following tips will ensure that your email campaigns are optimally designed for multiple screens. Test your emails to see how they render on mobile and tablet devices. 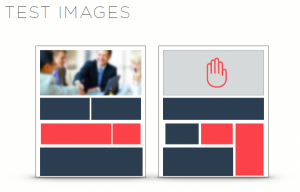 Use one or two column layouts – 3 column layouts introduce too much information on the page. Use a clear, simple hierarchy in your email with a clear headline, supporting message and call to action (CTA). Make sure your all CTAs are easy to click and identify on mobile devices. Use descriptive alt text for all images. 42% of consumers who open emails do so as a result of the subject line. If your consumers don’t even open your email, you can’t communicate or sell anything at all. You should test different value propositions in your email subject lines to see what works most effectively. Here’s how to improve the effectiveness of your email marketing subject lines. Keep your subject line under 50 characters. Don’t use misleading headlines as this will not only annoy your audience, but is illegal under the CAN-SPAM act. Research shows that personalisation such as using the recipient’s name or mentioning the recipient’s city improves open rates. Use words that create a sense of urgency in your calls to action to drive action. Continually test your subject lines. Ensure you have a subscribe box on prominent positions throughout your site. Include opt-ins during your online checkout process. Use offline channels to build up your database, for example tradeshows or in-store sign ups. Run competitions where consumers have to provide their email address to participate. Create a lead generation offer (free whitepaper or ebook) and require visitors to provide their email address in order to download it. Encourage current subscribers to share or forward your email by including social sharing and “Share this email with a friend” buttons. For more html email best practices and email design trends, see our OLIVER Slideshare.